My father doesn’t do a lot of cooking, but most summers you will find a giant jar of German Cucumber Salad resting in his refrigerator, which he simply refers to as refrigerator pickles. 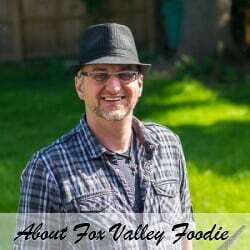 The simplistic nickname is indicative of the commonality of the dish in this region. Popularized by German immigrants settling across Wisconsin and the Midwest, you will still find Gurkensalat commonly served at any summer potluck. 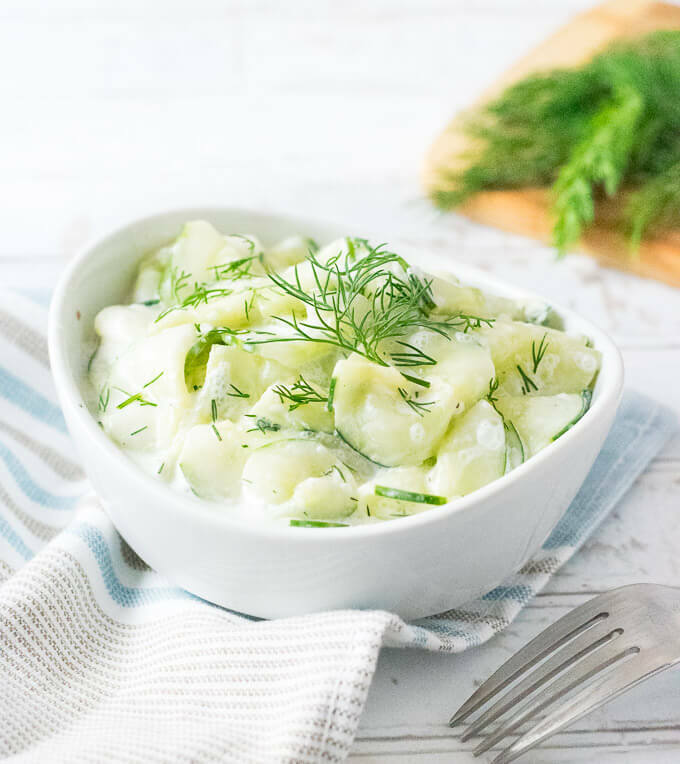 German cucumber salad, traditionally known as Gerkensalat, is a creamy cucumber dish featuring thinly sliced cucumbers swimming in a sour cream dressing spiked with fresh dill. Similarly to old-fashioned half sour pickles, this popular summer salad is often prepared simply to make use of the abundance of cucumbers coming from backyard gardens. 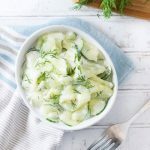 Most typically, German cucumber salad is made by thinly slicing peeled cucumbers, however, there is no shame in cutting them a bit thicker if desired. Since cucumbers contain so much water, they can be lightly salted and set in a colander to drain the extracted liquid for a couple of hours prior to being added to the salad. This will prevent the salad from becoming excessively runny, but it is a completely optional step. The dressing for Gurkensalat is simple to prepare. 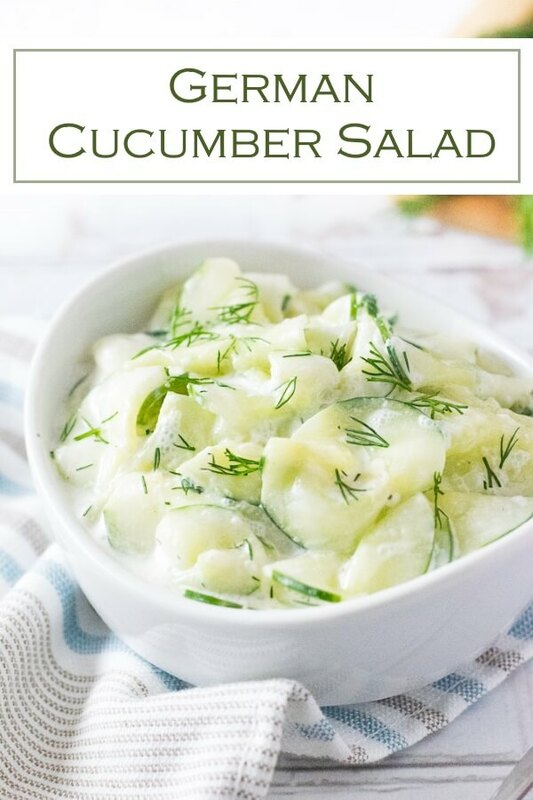 Sour cream, vinegar, and flavorings are simply mixed together and tossed with the sliced cucumbers. The flavors will meld together as it rests, so I recommend preparing the dressing as soon as the cucumbers are sliced so it can meld while the salted cucumbers drain. This is an easy recipe to customize to fit your own tastes. Two popular additions to German cucumber salad include sliced onions and/or garlic. Minced garlic will taste better than garlic powder, but either will work. If adding onion, I recommend using half of a sweet onion, sliced thinly. 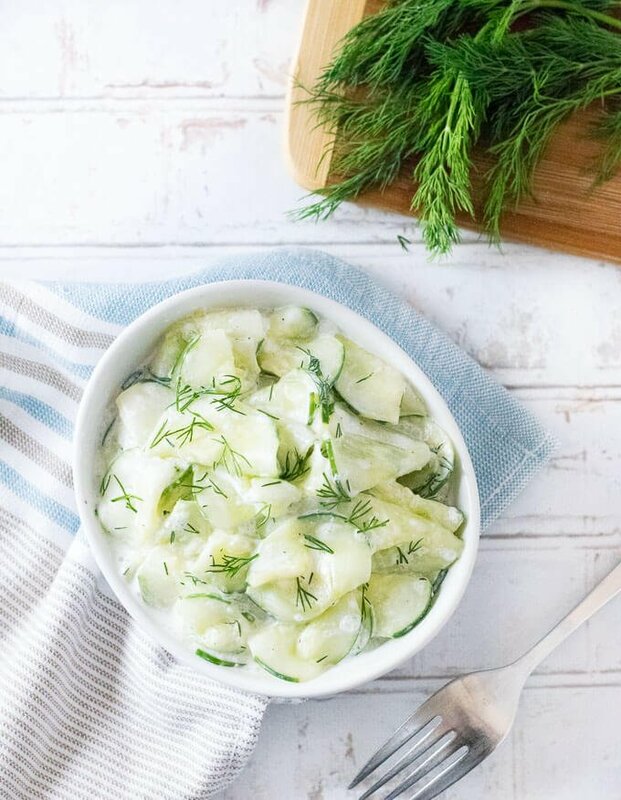 Can German Cucumber Salad be prepared in advance? This dish can certainly be made in advance. My father often prepares a large batch at once and eats it for days. The flavors also meld together nicely as it sits in the refrigerator. 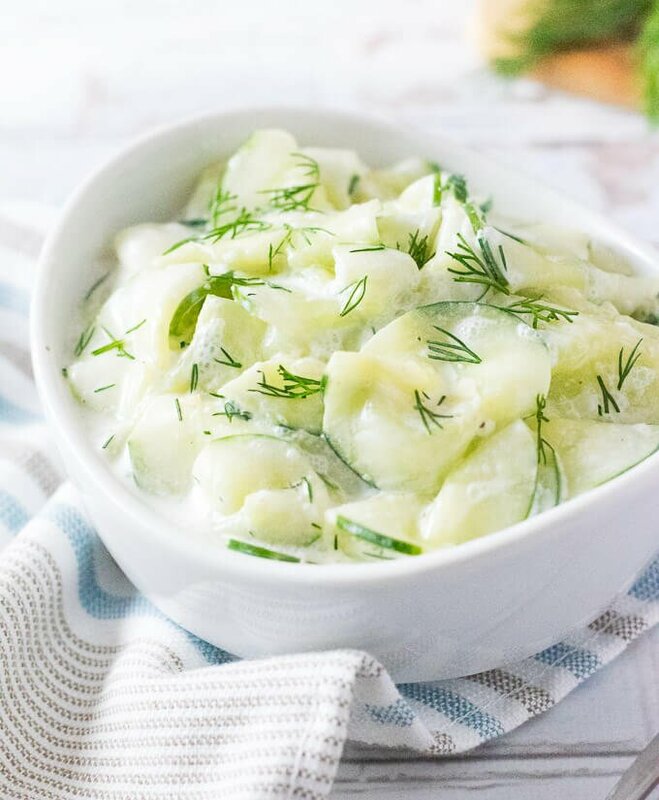 While cucumber slices are resting prepare the dressing by combining all remaining ingredients in a dish, and set in the refrigerator to chill. After cucumbers have rested, pat dry with paper towel and add to the bowl with the dressing. Toss to combine and serve. Most people thinly slice the cucumbers, however, you can slice them thicker if desired. IF YOU LIKED THIS RECIPE you will also love my Classic Seafood Pasta Salad recipe too! The recipe lists 8 servings.